FINRA said Morgan Stanley had supervisory failures in initial public offerings for Facebook, Yelp and 81 others. The Financial Industry Regulatory Authority fined Morgan Stanley Smith Barney (MS) $5 million on Tuesday tied to “supervisory failures” of IPOs in 2012 and 2013, including Facebook’s (FB). The regulatory group says that from mid-February 2012 to early May 2013, the wirehouse sold shares to investors in 83 IPOs, including Facebook and Yelp, “without having adequate procedures and training to ensure that its sales staff distinguished between ‘indications of interest’ and ‘conditional offers’ in its solicitations. “Customers must understand when they are entering a contract to buy shares in an IPO,” said Brad Bennett, FINRA executive vice president and chief of enforcement, in a press release. “There must not be ambiguity regarding the customer’s obligations given the significant legal differences between an indication of interest and a conditional offer to buy,” Bennett said. Morgan Stanley Smith Barney did not admit or deny the charges, though it consented to the entry of FINRA’s findings. “Morgan Stanley Wealth Management is committed to offering our clients participation in initial public offerings in accordance with applicable FINRA rules, and we have enhanced our practices on this point,” the company said in a statement. According to FINRA, firms can solicit nonbinding indications of customer interest in an IPO prior to the effective date of the registration statement. The “indication of interest” will only result in a purchase of shares if it is reconfirmed by the investor after the registration statement is effective. Brokerage firms also can solicit “conditional offers to buy,” which may result in binding transactions after effectiveness of the registration statement, if the investor does not act to revoke the conditional offer before the firm accepts it. In addition, the brokerage firm “did not offer any training or other materials to its financial advisors to clarify the policy and, as a result, sales staff and customers may not have properly understood what type of commitment was being solicited,” the regulatory group says. Like other tech stocks, Facebook shares were trading down midday Tuesday by about 2% (to $60 per share). Yelp (YELP) shares were off 8% at $55. In late 2012, Morgan Stanley agreed to pay a $5 million fine related to its conduct as the lead underwriter of Facebook’s IPO. The company, which is led by James Gorman, neither admitted to nor denied the charges. 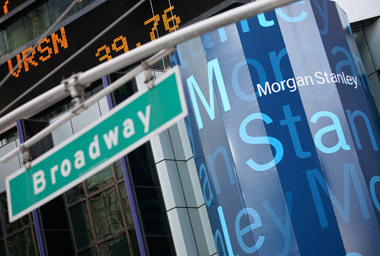 At the time, Massachusetts regulators fined the broker-dealer for not following rules laid out in 2003 by several regulatory groups, when Morgan Stanley was asked to pay $125 million concerning violations from July 1999 through June 2001. Specifically, Morgan Stanley research analysts “were subject to inappropriate influence by investment banking at the firm,” according to a document released about 18 months ago. In the case of the Facebook IPO, an initial S-1 registration document was filed with the SEC on Feb. 1, 2012, and an amended S-1 was filed on May 3, 2012. The social networking website began its investor roadshow on May 7, and soon Facebook, which communicated with Morgan Stanley’s investment banking staff, began to lower its 2012 revenue estimates by about 3%-3.5%. It filed an amended S-1 late on May 9, and then some research analysts with a variety of broker-dealers lowered their estimates of the website’s 2012 revenue. However, this was after many of the investor roadshows had taken place. Furthermore, “The script drafted by [a] senior investment banker [to be shared with equity analysts] included quantitative information regarding Facebook’s projections for 2Q12 that was not contained in the S-1,” according to Massachusetts regulators.